Sapka Muvek from Hungary blew away the competition at the European Custombike show in 2007 with his Time Machine.The engineering on this retro theme bike was awesome. Honda Accord automatic gearbox connected to a '36 Knuckle, hand started by a big lever on the left side and possibility to raise and drop the bike by adjustable suspension. A brilliant weird "back to the future" design by Andy Carter of Pangea Speedshop. The first time I saw it I associated it with 50's kitchen machines and Hoover vacuumcleaners, but this bike is really growing on me. Elam's Retro-Futuristic style, love that gastank! Bike is built around a Harman engine. 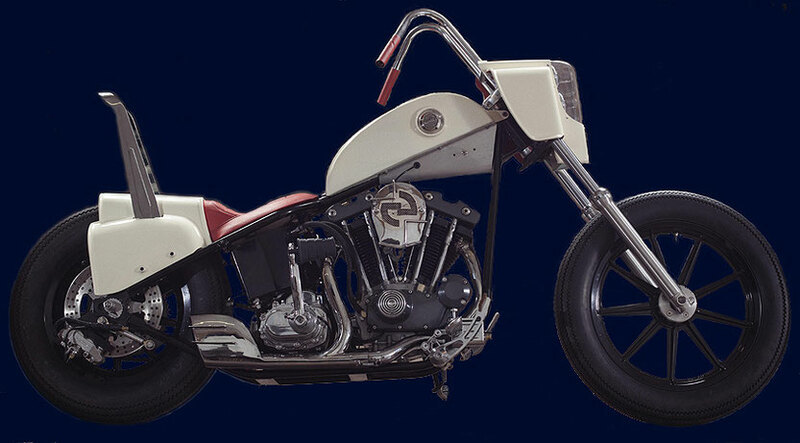 By using vintage Hot Rod car parts on The Flying Pan, Hank Young introducedthe Retro style in 2003 to the USA. Another 100% brand new retro by Sundance Japan. Great detail again, but shame about the primary! Should have been a tin primary in grey! 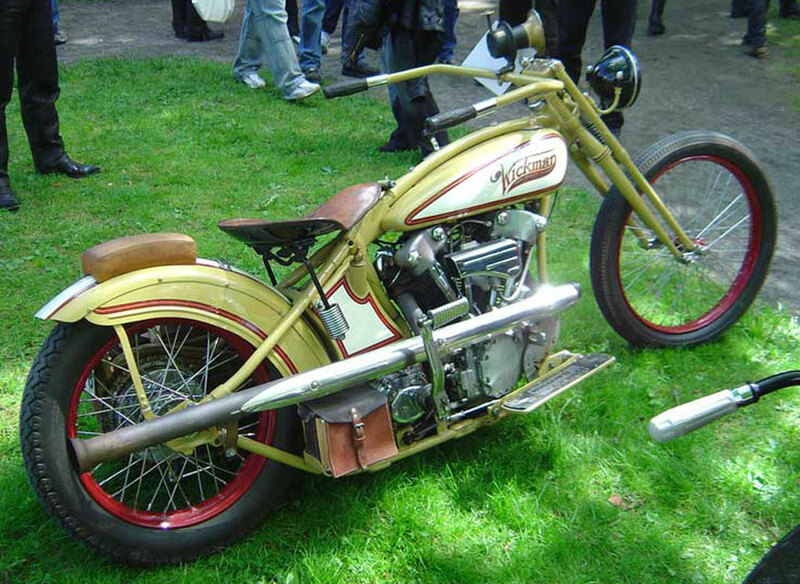 In the same vein as Wickman, new Shovel engine (Knovel head covers) in 20's paintschemeand bodywork. But more a retro streetracer/ scrambler. Incredible detail. I was pleasantly surprised when I saw the pictures of this bike winning in Norrtelje in the mid 90's.